Whether you own a 1957 Mercedes 300SL Gullwing, a 1963 Corvette Sting Ray or a 1964 Aston Martin DB5, 1966 Shelby 427 Cobra or a 1969 Ferrari Dino 246 GT or another classic car, we know how important your vehicle is to you. Therefore, when you need to transport a classic or rare car, it’s critical to work with a reliable vehicle transporter with a flawless reputation for quality and on-time delivery. Indeed, when evaluating classic car shipping companies, we recommend working with a transporter that shares your strong sense of quality and attention to detail. They need to communicate well, work hard and ensure every car shipping experience goes as smoothly as possible. 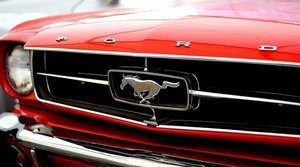 Read on for useful tips in regards to shipping your classic car and learn why classic car owners nationwide have been choosing us with their car shipping needs since 2006. 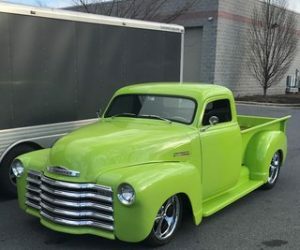 Of course, if you’re ready to move your classic car, request a free customized car shipping quote online. Or, give us a call at 1 (888) 886-3456 today. Regardless of what the vehicle make or model is, classic car transport should be a seamless experience. Here are our top 4 tips for shipping a classic car. The biggest mistake classic car owners can make is selecting a transporter solely based on the lowest cost. This is a huge red flag because many companies in the auto transport industry cut corners and hire unreliable carriers or use old equipment. The lowest price can lead to unwanted delays, stress and in some cases damage. Ignore the sites that offer a car shipping quote calculator as it’s often an inaccurate price. The true cost to ship a classic car depends on factors like the time of year, location and type of shipping such as enclosed transport. It costs more but is well worth the peace of mind. That being said, instead of focusing on cost, we recommend selecting your classic car shipping company on the greatest likelihood of a safe, on-time pickup and delivery. The best classic car transporter has a flawless five star reputation among customers. This means one bad review is one too many. They are a well-established car shipping company, fully licensed and insured. The transporter is laser focused on quality, reliability and provides an all-inclusive price quote. You can trust they will do what they say they will. I use Fisher Shipping whenever I am buying vintage automobiles online. For three years now Fisher has been delivering my vehicles to me in a timely manner and in perfect condition. Staff is friendly and always available when I call. Highly recommended. Good communication. Received my ’68 Camaro without any issues. My ’67 Mustang was picked up in North Carolina and delivered to Atlanta in one day, right on schedule. Everything went perfectly and just as Matt told me that it would. The driver was extremely professional. This was an exceptionally positive experience. Look no further than Fisher Shipping for your vehicle transportation needs. They moved my classic Chevrolet truck from Michigan to Massachusetts without a hitch. Dave, Alex, and the entire staff are professional, reliable and reasonably priced. Great communication throughout the process. With over 30 years of trust and reliability, we will make every classic auto transport move easy for you. Read what our customers say below and then get in touch for your next classic car move. “Good communication. Received my 68 Camaro without any issues.” Jason B.